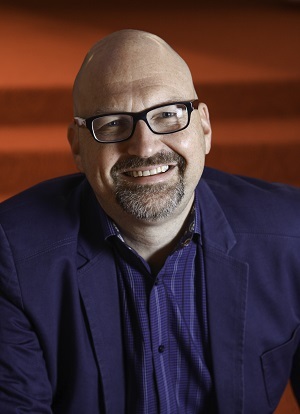 Dean R. Gladden is in his 13th season with the Alley Theatre where he is responsible for the administrative, financial, marketing, facilities and development aspects of the Theatre. His career in the performing arts spans over 40 years. Prior to joining the Alley, he was Managing Director at the Cleveland Play House for 19 years. During his career, he has overseen the production of over 300 plays, including more than 80 world and American premieres. Mr. Gladden holds a BA in Music from Miami University and a MA in Urban Arts Administration from Drexel University. He also graduated from the Harvard Business School Executive Education Program in Strategic Perspectives in Nonprofit Management. 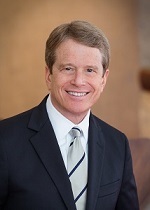 He is currently a board member and immediate past Chairman of the Board for the Greater Houston Convention and Visitors Bureau, Treasurer of the Board of the Theater District Houston, and an American Leadership Forum Fellow. He was past president of The Rotary Club of Cleveland. He has served on the Executive Committee of the League of Resident Theatres and was Vice President of the National Corporate Theatre Fund. Gladden has served on panels for the National Endowment for the Arts, Ohio Arts Council, Wisconsin Arts Council, Kentucky Arts Council, Texas Commission on the Arts and the Pew Center for Arts and Heritage. He has presented at the Santiago a Mil Festival in Chile, and also conducted Arts Management workshops in Budapest, Hungary, under the sponsorship of The United States Information Agency. Rob Melrose was formerly the Artistic Director and co-founder of the Cutting Ball Theater and works nationally as a freelance director. He has directed at The Public Theater (Pericles, Prince of Tyre), The Guthrie Theater (Frankenstein, Happy Days, Freud’s Last Session, Pen, Julius Caesar - with the Acting Company); The Oregon Shakespeare Festival (Troilus and Cressida – in association with the Public Theater); Magic Theatre (An Accident, World Premiere); The Old Globe (Much Ado About Nothing); PlayMakers Rep (Happy Days); Black Box Theatre (The Creature, World Premiere, BATCC Award for direction); as well as Actors’ Collective; The Gamm Theatre; and Crowded Fire, among others. His directing credits at Cutting Ball include Timon of Athens, A Dreamplay, Ondine (World Premiere), Mount Misery (World Premiere), Strindberg Cycle, The Chamber Plays in Rep, Krispy Kritters in the Scarlett Night (World Premiere), Pelleas & Melisande, the Bay Area Premiere of Will Eno’s Lady Grey (in ever lower light), The Tempest, The Bald Soprano, Victims of Duty, Bone to Pick & Diadem (World Premiere), Endgame, Krapp’s Last Tape, The Taming of the Shrew, Macbeth, Hamletmachine, As You Like It, The Death of the Last Black Man in the Whole Entire World among others. He has taught at Stanford University, UC Berkeley, USF, the University of Rhode Island, and Marin Academy. He has a BA in English and Theater from Princeton University and an MFA in directing from the Yale School of Drama. Rob recently directed Strindberg's Svarta Handsken (The Black Glove) in Stockholm, Sweden at Strindberg's Intimate Theater. This was the first time the play was performed on the stage for which it was written, 110 years after it was composed. He has translated Woyzeck, Ubu Roi, Pelleas & Melisande, The Bald Soprano, The Chairs, No Exit, Communique n ̊ 10, Where and When We Died, and The Blind. His translations of Woyzeck, Ubu Roi, and Pelleas & Melisande have been published by EXIT Press. He has written a number of plays including: Helen of Troy, The Flat Earth, Divorsosaurus, When Human Voices Wake Us, Asylum, and Serpentyne and has written a rock musical adaptation of L. Frank Baum's Ozma of Oz with the San Francisco electro-rock group Z.O.N.K. He is represented by Max Grossman at Abrams Artists Agency. 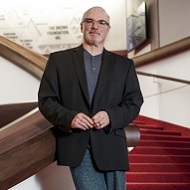 James Black is proud to be celebrating his 30th consecutive season at the Alley Theatre where, as an actor and occa­sional director, he has been involved in over 100 productions. Recent appearances include A Midsummer Night’s Dream (Bottom), All My Sons (Joe Keller), As You Like It (Jacques), Dracula (Van Helsing), Communicating Doors (Julian), Freud’s Last Session (Sigmund Freud), You Can’t Take It With You (Martin Vanderhof), The Hollow (Sir Henry Angkatell), Sherlock Holmes and the Adventure of the Suicide Club (Mr. Richards/Mycroft Holmes), The Elephant Man (Man/Conductor/Snork), A Few Good Men (Capt. Matthew A. Markinson), Black Coffee (Hercule Poirot), Noises Off (Lloyd Dallas), The Seafarer (James “Sharky” Harkin), The Seagull (Trigorin), Dividing the Estate (Lewis Gordon), Pygmalion (Colonel Pickering), Ama­deus (Count Orsini-Rosenberg), August: Osage County (Steve Heidebrecht), Peter Pan (Cap­tain Hook/Mr. Darling), St. Nicholas, Boeing-Boeing (Bernard), Harvey (Elwood P. Dowd), Mrs. Mannerly (Jeffrey), and Our Town (Stage Manager) among others. He has also directed Good People, Clybourne Park, A Behanding in Spokane, Doubt, Death on the Nile, Glengarry Glen Ross, Deathtrap, Dial “M” for Murder, Our Lady of 121st Street, The Foreigner, Of Mice and Men and As Bees in Honey Drown. His film and television credits include Olympia, The Man with the Perfect Swing, Houston: The Legend of Texas, Fire and Rain, Challenger, Night Game, and Killing in a Small Town. He received a Theatre World Award for Outstanding Broadway Debut and a Drama Desk nomina­tion for Best Actor for Not About Nightingales and a BackStage West Garland Award for his appearance as Eddie Carbone in the Alley’s production of A View from the Bridge.